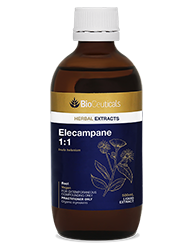 Elecampane is a striking perennial herb from the Asteraceae family that is native to many areas of Europe, Asia and Africa. It has thick, fleshy rhizomes that have an initial somewhat glutinous taste that becomes aromatic, slightly bitter and pungent upon chewing. Ancient medicinal writings have praised the herb for all manner of tonic properties. 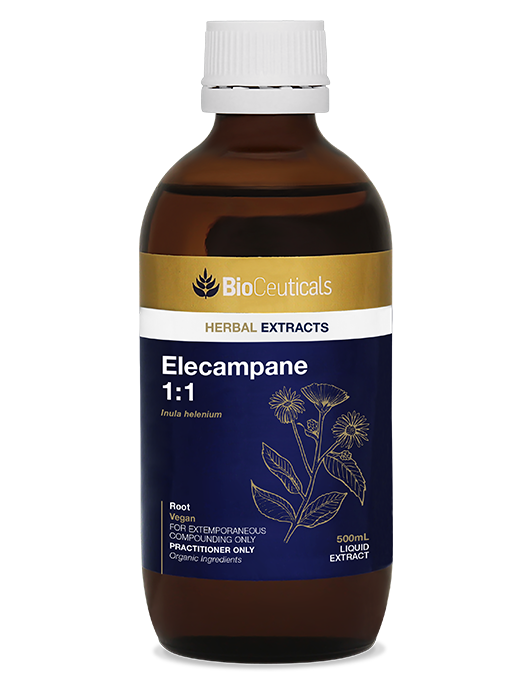 An ancient Latin verse, ‘enula campana reddit praecordia sana’, translates to ‘elecampane will the spirits sustain’. Pliny wrote ‘let no day pass without eating some of the roots of enula, considered to help digestion and cause mirth’. Due to its interesting flavours, elecampane was traditionally applied in a culinary context. The ancient Greek physicians recommended chewing the rhizomes during therapeutic fasts. The Medieval monks used it as a base for medicinal cordials and it was often candied and eaten as a therapeutic ‘sweet meat’ in England in the mid-1800’s, eaten morning and night and chewed while travelling to protect ‘against poisonous exhalations and bad air’.